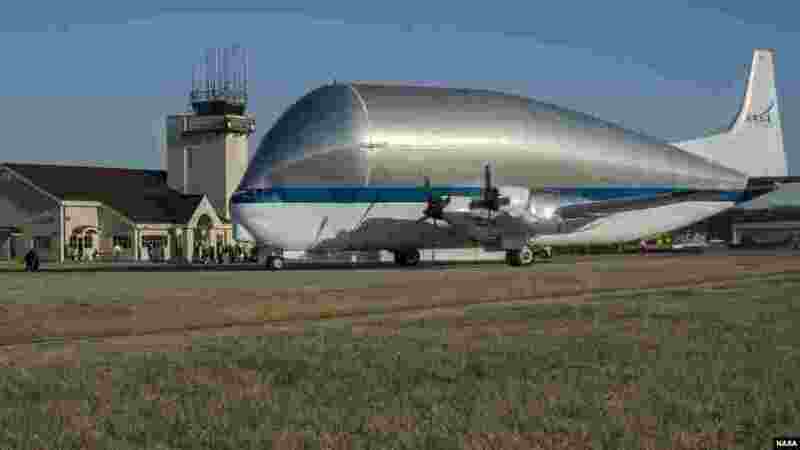 ۱ NASA’s Super Guppy, a wide-bodied cargo aircraft, landed at the Redstone Army Airfield near Huntsville, Alabama with a special delivery: an innovative composite rocket fuel tank, Mar. 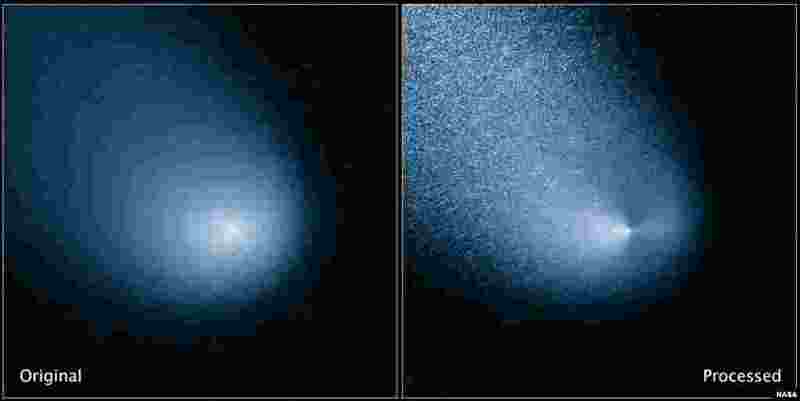 26, 2014. 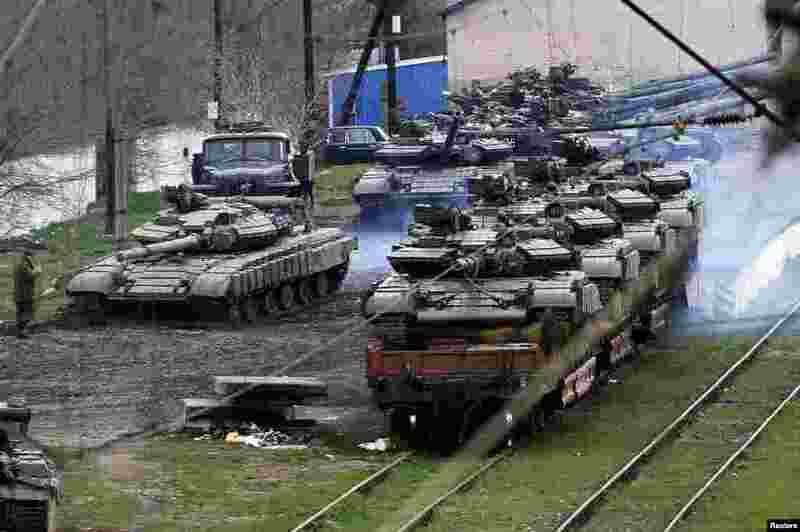 ۳ A Russian soldier (L) guides a Ukranian tank which will be loaded onto a train in northern Crimea. 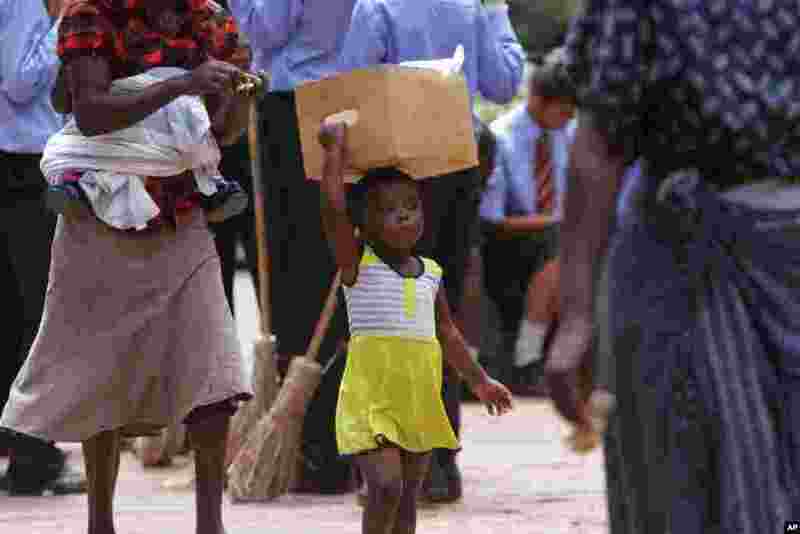 ۴ A young girl walks on the streets of Harare, Zimbabwe. 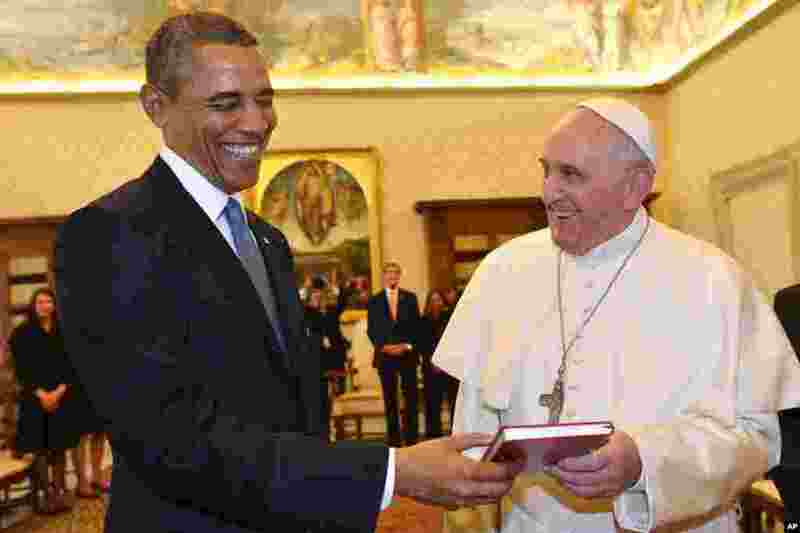 ۵ Pope Francis and U.S. President Barack Obama smile as they exchange gifts, at the Vatican. 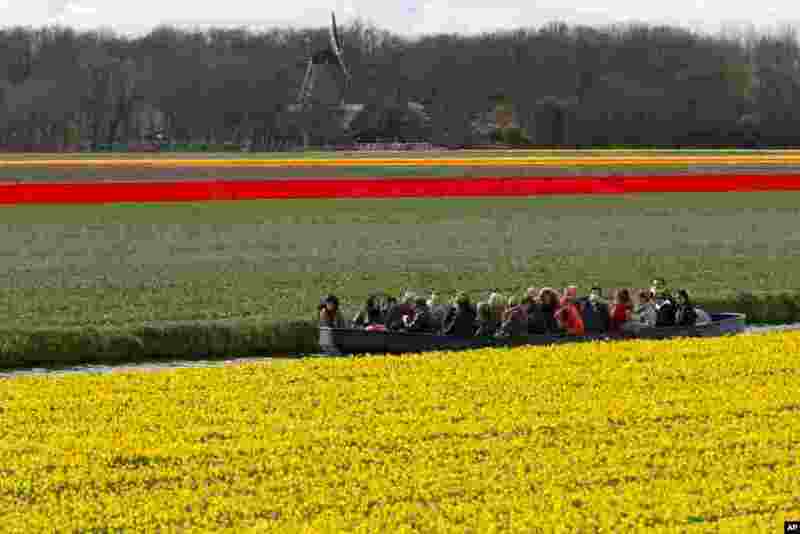 ۷ Tourists admire fields of blossoming daffodils and tulips from a barge as they pass near Lisse, western Netherlands. 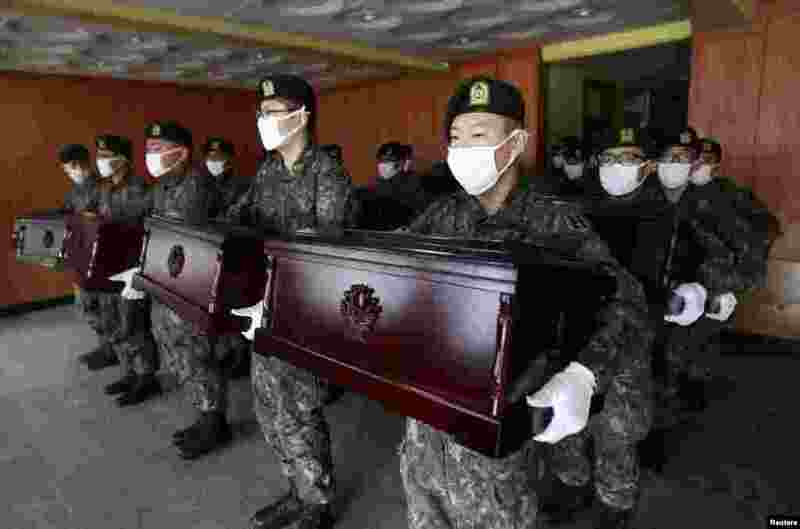 ۸ South Korean army soldiers hold caskets containing the remains of Chinese soldiers to be transported to Incheon International Airport, at the temporary columbarium in Paju. 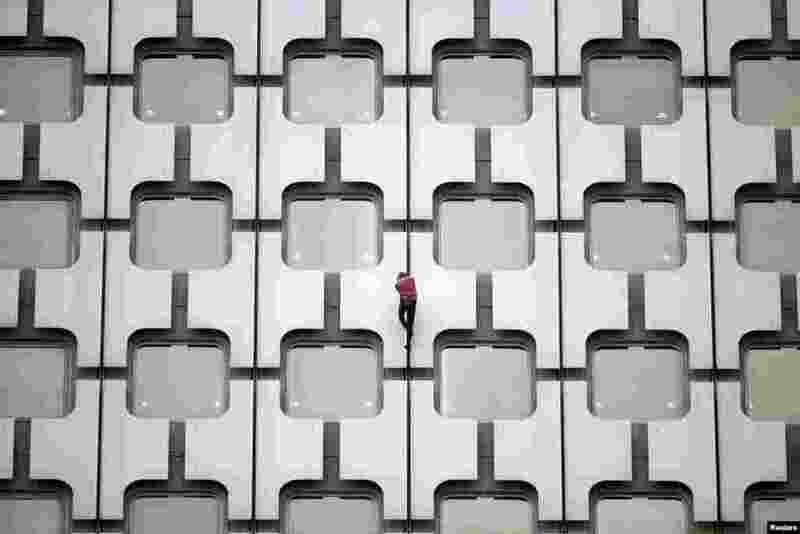 The remains of 437 Chinese soldiers killed during the 1950-53 Korean War were transferred from the temporary columbarium in South Korea to the airport to be returned to China.